Dorian Yates was the world's top body builder in the 1990's, surpassing even the great Arnold Schwarzenegger. For Dorian, weed is anything, but a lazy man thing. As part of his training regime, he smoked marijuana regularly, and claims that, among the sixty supplements he takes, fish oil, vitamins, amino acids, cannabis CBD oil is more valuable than all the rest put together. Smoking weed with THC allows Dorian to get a better workout, because it dilates the bronchioles, allowing for better oxygen uptake, as well as improve dead-eye focus. After a tough retirement, Dorian went through a divorce, drop in testosterone and a career change. This led to depression, probably caused mostly by the low testosterone, but he came out of it a new man. He realized that his financial stability allowed him to do pretty much anything he wanted. He took testosterone replacement therapy - up to normal levels 2 x per month and he was back on track to living a full live again. Along the way, he happened on Iowaska (DMT herbal). On a trek to the Amazon Dorian went on a 24 hour spiritual journey and came out the other end fully aligned spiritually. Brian Rose is an American expat and founder of the wildly popular podcast, London Real, who talk about sleep hacking, Ayahuasca experiences, biohacking tools. Rose is a former derivatives trader on Wall Street and CFO of a .com startup, with an engineering degree from MIT. He quit it all, moved to London and started the podcast London Real. He also hosts Silicon Real for London-based startups and promotes his Bulletproof Coffee products along the way. See Brian on twitter @LondonRealTV. Dorian Yates: Yeah, I haven’t watched that yet. Brian Rose: Some people say you should never have done a DMT show, but it’s one of the most popular shows as well, but I did it before and after DMT. Dorian Yates: We were talking about that when I came there almost like listening one time will come and we'll do this on the DMT show, so we can talk about it, so I guess you went ahead and did it without me. Brian Rose: Yeah, cause you were like, we should definitely do some [deity] together, and I think it planted the seed and so yeah, I just went ahead and did it and so we did it before and after episode ...and I had never done DMT before. I talked about my thoughts, my concerns. Then afterwards what DMT was like as an experience. Dorian Yates: and you did the experience, and then you filmed it afterwards. Brian Rose: You know, I had had three Ayahuasca ceremonies before that, and so I had already had [some] experience, you know taht were real heavy. You obviously know what a DMT compound in a different form, so I found this one is different. I know you find it very powerful. I found my Ayahuasca seem to be more memorable for me, but I only did [it] that once, but it was still very evident to me that there is another plane. There are a lot of other things going on that. We don't know about and you get there to that other dimension or dimensions in about five minutes. Dorian Yates: yeah, well what I got is were just this is an experience that we're having and it's based on information from their five senses and that builds your experience, but there's a whole lot outside of that you know five senses that's accessible to people and you know DMT is kind of or [Ios cures] is like a quick route to get there and have a look. Classical Fm or whatever, they're all we could access them all in this room. Thousands of Radio stations we access them all in this same space here. So they're all here at the same time what is just tuned into one or the other. Brian Rose: right and what we experience is you said last time? it's just such a minute slice of what's happening out there. 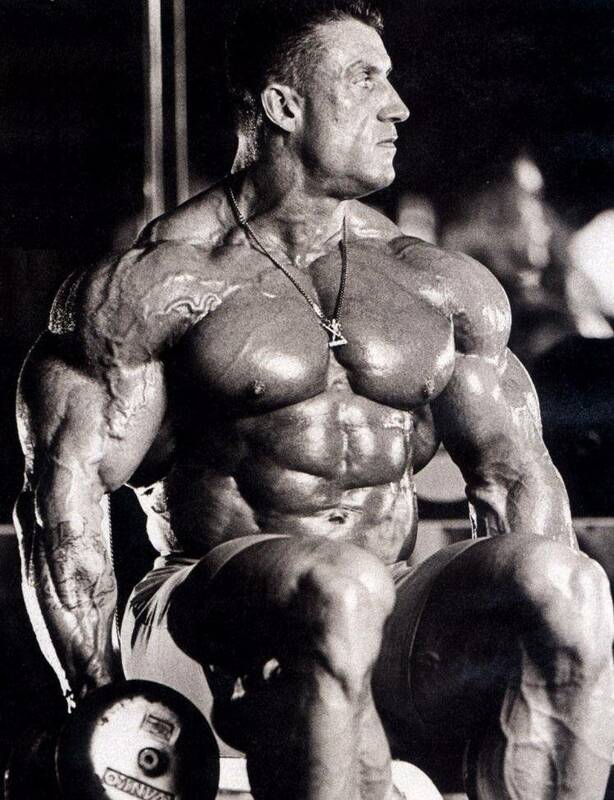 Dorian Yates: Exactly ... what we're aware of, what we perceive through our senses, it is just information. Briann Rose: I remember that picture we took with with your tattoo that says one Love One heart. You know you were saying with your DMT experience that you really notice that we are all one and one is everyone. Dorian Yates: yeah, it's like one consciousness. Having billions of different experiences at the same time, but it's coming from the same source. So once you come to that realization, then there's no point of fighting with people and getting angry, because it's just like you're fine with yourself, but oh you're in a different place, you know that's the way I see it. Brian Rose: Did you always have that feeling.... when you were Mr. Olympia??? Or did it take kind of after that getting out of it and then thinking about the world or did you always feel very connected? 420EvaluationsOnline: In California, a medical marijuana recommendation from a licensed doctor is no longer required to purchase cannabis from a dispensary. However, medical marijuana patients will pay substantially less, fifty or more dollars less per ounce of weed. We continue to supply medical marijuana cards to patients online. The process takes only a few minutes to complete and no payment is required until a medical doctor has evaluated your file and approved it. Joe Rogan and Will MacAskill have a great conversation about DMT and the nature of consciousness. Joe Rogan and Will Macaskill have a great philosophical conversation about the science of consciousness and the effect DMT has on consciousness on the Joe rogan Experience podcast. Joe rogan and Will MacAskill talk philosophy, science, consciousness and the effect of DMT and psychedelic drugs on consciousness on the Joe rogan Podcast interview. DMT what is it? Joe Rogan looks into amazing effects of a molecule by the name of DMT "Dimethyltryptamine" which is found all throughout nature including the human brain and is responsible for altering and expanding human consciousness. Joe Rogan and Dorian Yates talk about their first experience with DMT. Dorian goes into his first with ayahuasca with a shaman. How to make elite cannabis popcorn: tasty, exotic, nutritional, healthy, psychedelic..